Looking for Custom Rubber Products? Kent Rubber Supply Has You Covered! If you’ve been searching for a reliable, proven supplier of top-quality hydraulic hose and custom rubber products, look no further than Kent Rubber Supply. For over seven decades, we’ve worked tirelessly to uphold our reputation as the industry’s leading supplier of rubber products. 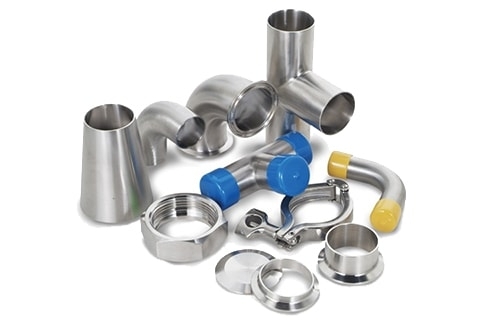 Steadfastly committed to superior customer service, timely shipping, and cost-efficient pricing, our customers have come to rely upon us for a wide range of products, including specialty and custom hose, OEM products, hydraulic fittings, industrial couplings, and safety products. With our massive catalog and ability to meet exacting specifications, we’re well-positioned to supply you – and your operation – with everything that you need. Whether you’re looking for molded seals, vibration reducers, custom O-rings, aftermarket rubber parts, door window seals, or any number of other custom rubber products, you can absolutely count on us to meet – or exceed – your demands. In addition to a large catalog, we’re able to utilize a range of materials in our products, including butyl rubber, sponge rubber, vinyl, EPDM, MIL Spec materials, and nitrile. When you need a rock-solid, time-tested, and experienced supplier, you can trust Kent Rubber Supply to get the job done. At Kent Rubber Supply, our goal is to provide our customers with the products that they need to keep their operations running smoothly and profitably. More importantly, we want every customer to feel valued and important. When you work with us, you can rely on us to provide timely, personal assistance and the absolute best pricing available. If you’ve been looking to improve the responsiveness of your operation, to increase output and decrease downtime, you owe it to yourself to take a look at our catalog! Of course, if you have any questions, we encourage you to reach out to us by visiting our contact page.